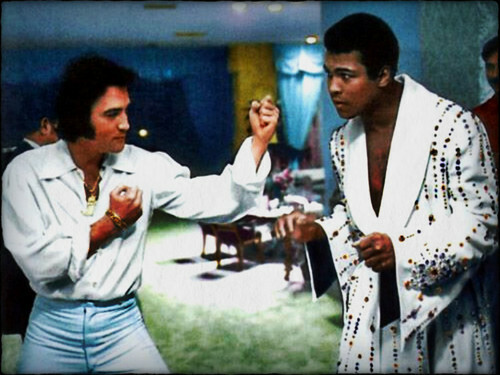 ☆ Elvis & Muhammad Ali ☆. . HD Wallpaper and background images in the Rakshasa's World of Rock N' Roll club tagged: elvis presley muhammad ali. This Rakshasa's World of Rock N' Roll wallpaper might contain goed gekleed persoon, pak, broek pak, broekpak, kostuum broek, pak, and badjas.